Black leatherette with red piping & stitching. Classic Mini Door Cards. The front door cards are manufactured to original specifications from 3mm thick brown hardboard and the back cards are manufactured to a custom specifications (they are shaped slightly differently to the original specification for easier installation) from 3mm thick brown hardboard. Black leatherette with Royal blue piping & stitching. Classic Mini Door Cards. The front door cards are manufactured to original specifications from 3mm thick brown hardboard and the back cards are manufactured to a custom specifications (they are shaped slightly differently to the original specification for easier installation) from 3mm thick brown hardboard. Black leatherette with black stitching. Classic Mini Door Cards. The front door cards are manufactured to original specifications from 3mm thick brown hardboard and the back cards are manufactured to a custom specifications (they are shaped slightly differently to the original specification for easier installation) from 3mm thick brown hardboard. Black leatherette with snow white piping & stitching. Classic Mini Door Cards. The front door cards are manufactured to original specifications from 3mm thick brown hardboard and the back cards are manufactured to a custom specifications (they are shaped slightly differently to the original specification for easier installation) from 3mm thick brown hardboard. FITS BMW MINI ONE & COOPER R50 2001-2004. AND WILL ALSO FIT LATER TYPE R50 R53 2004-2006 & R52 2004-2008). (WILL ALSO FIT COOPER S R53 2001-2004 IF YOU ARE HAPPY TO CHANGE TO SILVER. 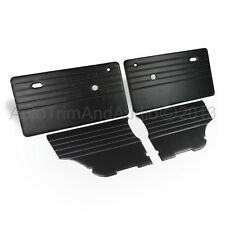 BMW MINI PAIR OF DOOR CARDS WITH LEATHER ARM RESTS - PRE-FACELIFT TYPE. Black leatherette with light grey stitching. Classic Mini Door Cards. The front door cards are manufactured to original specifications from 3mm thick brown hardboard and the back cards are manufactured to a custom specifications (they are shaped slightly differently to the original specification for easier installation) from 3mm thick brown hardboard. Black leatherette with grey piping & stitching. Classic Mini Door Cards. The front door cards are manufactured to original specifications from 3mm thick brown hardboard and the back cards are manufactured to a custom specifications (they are shaped slightly differently to the original specification for easier installation) from 3mm thick brown hardboard. Ideal when replacing door cards as these are prone to breaking once the old panel is taken off. Here we have a complete set of door cards. Cheques are accept but must be cleared before the item is collected or dispatched. THIS ALSO INCLUDES JERSEY, GUERNSEY, ISLE OF WHITE, NORTHERN IRELAND AND BRITISH ISLES. GOOD CONDITION. Add To Favourites. With Harmon Kardon Speaker Surrounds. and Harmon Kardon Door Handle / Tweeter Surrounds. Chilli RED Facelift Dash (three piece) &. Chilli RED Facelift Door Cards. MINI Cooper One / S R50 R52 R53. To Suit Generation-1 Mini Cooper, One & S R50 R52 R53. MINI R53 (09/2000 — 11/2006). Part removed from: BMW MINI R50, Cooper, Coupé, W10, EUR, Right hand drive. MINI R50 (09/2000 — 11/2006). We do have a lot of parts for almost every BMW model. Feel free to ask for any other BMW car parts, we are always happy to help. Part number for reference : GHF1222. Rover Mini Cooper Left Hand Door Card. Condition is New. Brand new from Newton left hand front door , door card . Material = Fibreboard. Model = Classic Mini Mk1, Mk2. The material used is very close to the original specification which on all the main production run Mini's between 1962-1967 was quite coarsely grained. 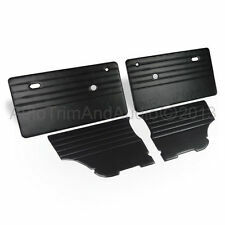 Genuine MINI Door Card Set for R60 Countryman HARMAN KARDON DRIVER PASSENGER NS . Condition is Used. Dispatched with Other Courier (3 to 5 days). MINI R50 R53. Pictures show Door Card with Pull Strap Door Closer, also available with Standard Door Handle. High Gloss Carbon Effect - Gloss Black - Aluminium - Matt Black Door Cards. Light grey micro-suede with blue detailing. Classic Mini Door Cards. The front door cards are manufactured to original specifications from 3mm thick brown hardboard and the back cards are manufactured to a custom specifications (they are shaped slightly differently to the original specification for easier installation) from 3mm thick brown hardboard. 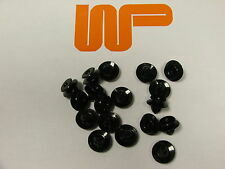 PART NUMBER: TKF9000X. 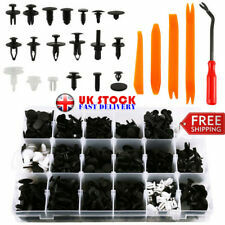 This kit will fit a large range of Mk1 & Mk2 Saloons. Specialising in Austin-Healey, Classic Mini, Jaguar, Mazda MX-5, MG, Morris & Triumph. PART NUMBER: TKR9000X. 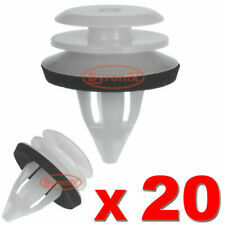 This kit will fit a large range of Mk1 & Mk2 Saloons. Specialising in Austin-Healey, Classic Mini, Jaguar, Mazda MX-5, MG, Morris & Triumph. MINI R50 R52 R53. 1mm Carbon Fibre / Fiber. 1 x Front Door Card Panel Lightweight. This is aGENUINE ROVER lightening trim TRIM set. These are really popular ( that popular that they have been remade - but are very expensive new ). PART NUMBER: TKA9010X. Specialising in Austin-Healey, Classic Mini, Jaguar, Mazda MX-5, MG, Morris & Triumph. Black leatherette with Royal blue stitching. Classic Mini Door Cards. The front door cards are manufactured to original specifications from 3mm thick brown hardboard and the back cards are manufactured to a custom specifications (they are shaped slightly differently to the original specification for easier installation) from 3mm thick brown hardboard. Black leatherette with red stitching. Classic Mini Door Cards. The front door cards are manufactured to original specifications from 3mm thick brown hardboard and the back cards are manufactured to a custom specifications (they are shaped slightly differently to the original specification for easier installation) from 3mm thick brown hardboard. Complete blue cloth velour seats and matching vinyl blue door and 1/4 trims for a 70/80’s Classic Mini Clubman or Standard Mini Saloon. Removed from a very low mileage car (21k). Grey leatherette with grey stitching. Classic Mini Door Cards. The front door cards are manufactured to original specifications from 3mm thick brown hardboard and the back cards are manufactured to a custom specifications (they are shaped slightly differently to the original specification for easier installation) from 3mm thick brown hardboard. BMW Mini Cooper English Flag Door Pin Set Of 2. Fits:BMW MINI Cooper S R53 R55 R56 R57 R58 R59 f55 f56. We are always here to help. MINI Cooper R56 JCW. Excellent fitting for: MINI R56. Carbon door cards. C arbon door cards made from high quality carbon fiber and fiberglass produced by Hexcel. Part number 51410017302. MINI drivers door card in dark grey (Anthracite ?). Genuine MINI. I will chase them up. Part: Right Side Panther Black Leather, Chli Red/Silver Trim Door Card. (for late cars with detachable armrest). Model: Mini One/Cooper/S R50/R52/R53. S Mini Spares.